A typography textbook for the digital age. This book moves beyond the traditional rules-based approach by describing typography as a system of interrelated concerns heavily influenced by the contexts of audience, medium, and message. It presents the key visual and intellectual skills necessary to make informed design decisions when using typography for modern contexts and audiences and gives full attention to designing with type in digital media. Chapter primers offer brief definitions of complex terms, illustrated with typographic examples. Unfamiliar vocabulary from a range of fields including printing technology, media studies, and computing is introduced and clearly explained. A range of fonts and the potential for dynamic type design are discussed, often in the context of design for digital environments. 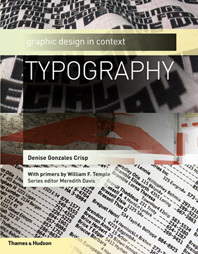 The text highlights the visual and intellectual skill set necessary to make informed design decisions and is uniquely approachable for courses requiring advanced critical-thinking skills alongside visual and technical proficiency. Two Extremes. Make That Four.